We've told you before how much we love helping out with charity events and why you might want to think about donating your talents to a few benefits and fundraisers. Sure it can be tough to find the time but as an entertainer you have something truly unique to offer that can make any charity event or fundraiser that much more special (and successful). 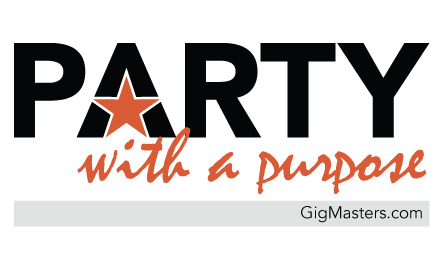 We have charity events on our minds because we’re currently running a fundraiser contest over on our Life of the Party blog, the ‘Party with a Purpose’ contest. The idea here is to highlight a few truly worthwhile, and truly fun, recent real charity events. We have seven semi-finalists, each come from great causes with unique stories to tell. We are asking our readers to vote for their favorite charity story by leaving a comment on the blog post. The winner gets over $1200 in prizes (including a $250 charitable donation and $300 credit to GigMasters). But the hope is that all of the semi-finalists will get a little extra attention thanks to the contest. Voting closes this Friday at noon EST. If you have some time this week, please read through these great stories and cast your vote.